When you get the next Gmail iOS app update, you’ll notice some exciting changes: The biggest overhaul of the app in nearly four years. 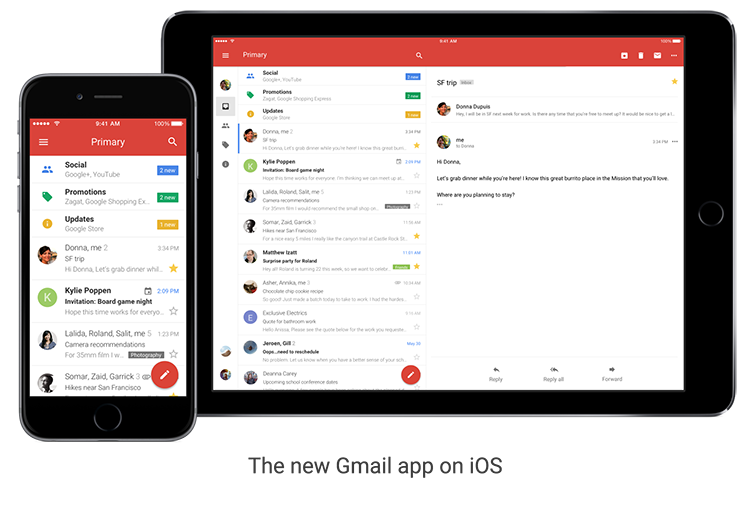 It's the Gmail you know and love, with a fresh new look, sleeker transitions and some highly-requested features. It's a lot faster, too. With the new app, getting things done on the go is a lot easier — whether you’re trying to find a message your colleague sent you last month, or trying to get through your work inbox on a Monday morning. Month view and week in landscape view, so you have even more ways to see your schedule at a glance. Spotlight Search support, so you can search for events, Reminders and Goals in Apple’s Spotlight Search and find what you’re looking for faster. Alternate calendars. If you often look up dates in a non-Gregorian calendar — like Lunar, Islamic, or Hindu — you can now add that calendar to easily see those dates alongside your current calendar. 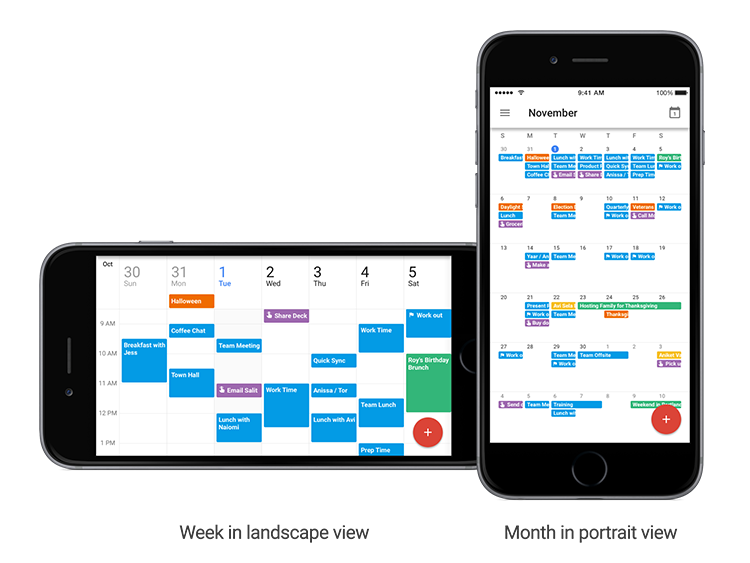 We'll continue to improve both Gmail and Calendar for iOS so you can be more productive on the go.